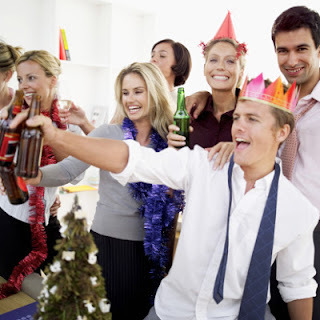 For many Australians this time of the year usually involves some sort of partying, whether it be with friends, family or workmates. Unfortunately, this can also end up with waking up the next morning to a spinning room, a violent headache and the need to rush to the toilet feeling rather unwell. Unfortunately, it would appear that this is also a regular occurrence for some of our young people. Before we can try to answer how to get rid of a hangover, what is the actual cause of the problem? The simple answer is, of course, drinking too much alcohol. A hangover is the result of your body experiencing a mild reaction resulting from an overdose of alcohol and certain 'toxins' that are associated with alcohol consumption. Your body attempts to protect itself by producing enzymes to break down and remove the toxins from your body. Unfortunately, the process does not occur fast enough and the resulting build-up of toxins in your body is believed to be a major cause of hangovers. When the toxin level exceeds your body's ability to metabolize them in an efficient manner, you experience the unpleasant and classic symptoms of a hangover, i.e., an irritated stomach, which may cause you to vomit, and in general, make you not feel too well. Another major cause of a hangover is dehydration. Difficult to believe, particularly when you see how much some people can drink, but as you are drinking alcohol, your body is actually losing fluid. This is due to the diuretic effect of alcohol – ever noticed how much you urinate when you drink alcohol? Unfortunately, by losing more fluids than usual, you are also losing important vitamins and nutrients. It is not known how much dehydration contributes to causing a hangover, but most experts believe it plays a pretty big role, and all agree that at the very least it's going to make you feel worse. Congeners are also believed to contribute to a hangover, particularly in relation to the headache you may experience the morning after. This is the part of hangovers that many are not aware of and it's incredibly important and the type of alcohol you drink plays a big role here. Congeners are toxic chemicals and impurities that are formed during the fermentation process used to make alcohol, with some forms of alcohol having more of them than others. The rule with this is simple - the clearer your drink, the fewer problems you will most probably have the next morning. This is why many people believe that white wines and spirits such as vodka are said to cause fewer hangovers. The reverse is also true - if you are a drinker, how many times have you woken up after a couple of glasses of red wine and wondered what went wrong? So, are there any ways to get rid of a hangover? So if you can't get rid of it, how about trying to prevent one from occurring? After all, prevention is better than cure. Of course, the best way to prevent a hangover is not to drink too much but that is not always possible – so here are a few guidelines that will make drinking safer for you and your teenager, should they choose to drink. Before you go out, eat a good meal. Eating a bowl of pasta, or other carbohydrate-rich foods will fuel the body up in preparation for a big night. It will also slow down the absorption of alcohol into the bloodstream, preventing you getting drunk to fast. Make sure the first drink you drink is water or non-alcoholic. You will drink the first drink of the evening much faster than any other if you are thirsty. Use a non-alcoholic drink to quench that thirst. Try to rehydrate before you go to bed. Make sure you drink water throughout the evening to space the amount of alcohol you drink, as well as keep you hydrated, but a couple of glasses before you go to sleep (you don't need to drink litres of it!) is not going to totally prevent the dehydrating effect of alcohol but it won't hurt and the placebo effect can't be ignored! Whatever you do, I hope you and your family and friends have a wonderful festive season!